Looking for a unique kids birthday party theme idea? 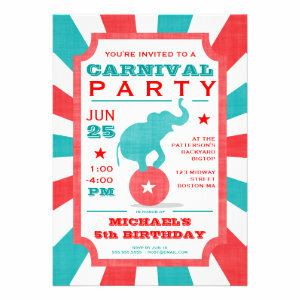 Then check out these fun and colorful Circus & Carnival Kids Birthday Party Invitations! 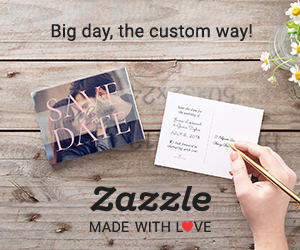 Simply add all the necessary info to your chosen invite and hit the "add to cart" button. You will also get a white envelope with every invitation, completely free of charge! 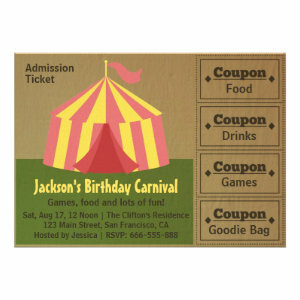 What child wouldn't like to celebrate their birthday with a Circus themed birthday party?! 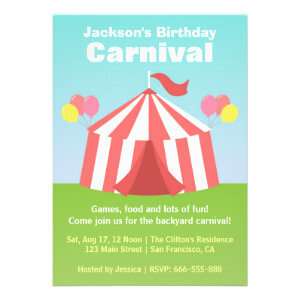 These are the Top 20 Circus & Carnival Kids Birthday Party Invitations we could find, perfect for throwing a fun Carnival Circus party. 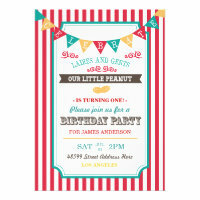 With Circus tents, cute fairground animals, silly clowns and, of course, lots of bright carnival colours. 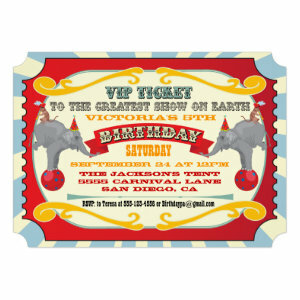 Our carnival circus birthday invites are suitable for different ages, from very young children to slightly older teens. 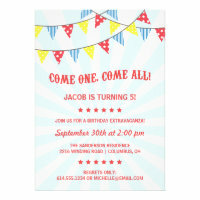 All invitations can be personalized to include guests names party details, R.S.V.P and any other relevant information. There's even one design where you can upload a picture of your child and feature them on the announcements. You can also change the font, colour, style and design to better fit with your theme. You could have a fancy dress costume party where guests dress up as their favourite Carnival Circus character or host a party game where children create their own costumes from your fancy dress clothes and then take part in a best dressed costume competition. Or you could ask your guests to dress up as clowns for a fun filled day of party festivities where everyone is involved. 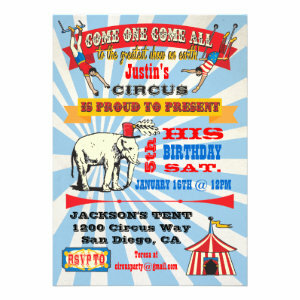 Whatever you choose these Circus & Carnival Kids Birthday Party Invitations are sure to get your celebrations off to a great start.